Create a functional storage space behind those decorative panels with this base filler cabinet. We didn’t just create another organizer…we created the whole cabinet that transforms decorative filler into useful storage pullouts. 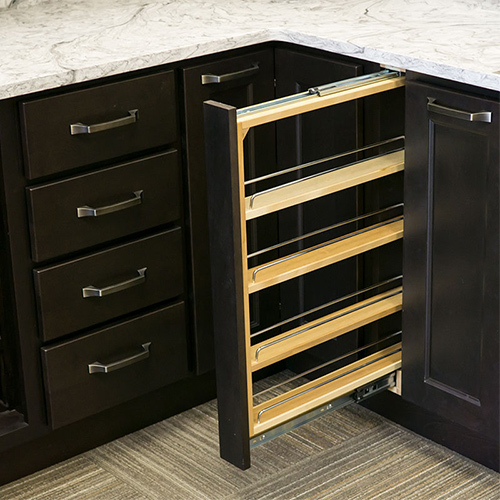 This pullout is 3” base cabinet applications and features adjustable shelves with chrome rails, full-extension ball bearing slides and our three slide design provides the most stable function on the market.